The median home value in Grain Valley, MO is $217,000. This is higher than the county median home value of $109,500. The national median home value is $185,800. The average price of homes sold in Grain Valley, MO is $217,000. Approximately 59.26% of Grain Valley homes are owned, compared to 35.24% rented, while 5.49% are vacant. 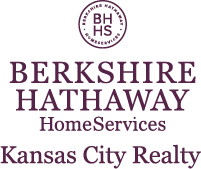 Grain Valley real estate listings include condos, townhomes, and single family homes for sale. Commercial properties are also available. If you see a property you’re interested in, contact a Grain Valley real estate agent to arrange a tour today! Learn more about Grain Valley Real Estate. This home is solidly constructed with a feeling of warmth and comfort. Located in a neighborhood safe for children at play. Close to schools and shopping. Seller is offering a painting allowance with an acceptable offer. Searching for One Level Living in Grain Valley with a sizeable treed lot that backs to Greenspace? Come and enjoy the peaceful view from the Sunroom while relaxing and enjoying your morning coffee. The Master Bedroom offers a private bathroom and has a generously sized walk- in closet. This beautiful home is ready for your finishing touches, priced at face value, and is a wonderful opportunity to build instant Equity. With a little care, new carpet, and painting, you can make it Extraordinary! Take advantage TODAY! Come check out this TRUE RANCH!! This 3 bed 2 bath home has been beautifully updated with new hardwoods in the open concept living area, new HVAC system and a brand new stove and dishwasher! The new fencing and covered patio makes this jewel perfect for entertaining. It also has a large office great for any home based business and a shed for your lawn equipment. There is a two car garage large enough you can fit a 4 door truck in it! Vaulted ceilings, large walk-in closet in the master bathroom and so much more. Picture perfect one-level living that backs to nature! Shows like NEW! Family room w/corner fireplace! Quality crown/upgraded trim. Kitchen w/tons of cabs, pantry, stainless appls, tile flrs, arched cutout to fam room! Eat-in kitchen opens to sunrm. Spacious master w/WI closet & over-sized tile shower! Laundry w/BI cabs & tile. Large insulated storage shed & lush, private fenced yard w/patio perfect for parties! All-electric! Brick exterior for low maintenance. Front covered porch. Extra storage in garage ceiling! BEAUTIFUL, Maintenance Provided Reverse 1.5 Story Plan in Woodbury Villas. Bright, open floor plan with extra wide stairs. Kitchen features pantry, SS appliances, Kitchen island & spacious dining area. Great Room offers vaulted ceiling & see-through fireplace. Formal Dining Room & Main Floor Laundry! Large Master Suite with private Bath offers whirlpool tub, dual vanity, dual head tiled shower & walk-in closet. Finished LL offers lots of windows, spacious Rec/Family Room, 2nd & 3rd Bedrooms & full Bath. ONE LEVEL LIVING with attached screened and glassed in porch! Entertain easily in this large open floor plan and enjoy the fresh breezes from the screened porch. This is such a SMART floor plan. Entry opens to the large family room with vaulted ceiling and the open concept kitchen. Every room has been RECENTLY PAINTED, including the ceilings. NEW CARPET; NEW VINYL IN THE ENTRY AND LAUNDRY AREA AND BATHROOM! Move in NOW to enjoy the spacious yard and blooming forsythia bushes and wildlife! DON'T LIKE YARD WORK? THIS IS THE HOUSE FOR YOU Beautiful home for a busy family & Very well maintained ready to move in. 2 story w/XL 3 car garage. Full basement can be finished to add another bedroom and family room. Has stubbed bath & egress windows. Newer Pella Windows, Patio, Roof, Paint, & AC. New and newly refinished hardwood floors. Very easy maintaince, small yard in a cul-de-sac. Impressive 1.5 Story on 4.6 acres in Lee's Summit School Dist! Great set-up for horses! Beautiful entry w/curved staircase & vaulted ceilings. Kitchen features new granite counters & stylish back-splash, walk-in pantry & stainless steel appliances. Hardwoods in Kit., Breakfast & Family Rooms. Master has great walk-in shower, water closet, walk-in closet & heated tile floors. Media Room, Wet Bar & Rec Room in the fin. lower level. Huge outbuilding w/concrete floor & plumbing. Super energy efficient Geothermal HVAC! Check out this beautiful Front/Back featuring 4 bedrooms and 3.5 baths!!! Open concept allows entertaining throughout home with seamless outdoor setting featuring covered deck overlooking the beautiful lake with an additional private deck off Master! Finished basement with large family room, 4th bedroom & full bath. Updated kitchen including quartz countertops, fixtures, pulls & appliances. Fresh paint & flooring throughout/+plus tons of storage. Gorgeous Water Garden in fenced in backyard. Truly a must see!!!!! Photos are from the finished home next door-- but this one's almost done, too! Prepare to be impressed by the popular "Arista" reverse 1.5 story home from BC Residential Homes! Featuring an open concept living/dining/kitchen area, friends and family will love gathering around the large kitchen island as you entertain! Kitchen has a high end sophistication, with built in appliances and large cooktop! Walk out lower level features family room, 2 additional bedrooms & full bathroom- plus cute dutch door closet nook! The Wilshire design offers 2 master suites with nice sized bedrooms and laundry in the hall on upper level. The main floor offers a see thru fireplace between the great room and the dining room, kitchen island, huge pantry, and wood floors. Large lot with a covered deck for your outdoor entertainment. The Selah design offers an open concept floor plan to include kitchen with granite counter tops, walk in pantry, & nice sized bedrooms. Master bedroom with walk in closet and opens to main floor laundry. Ranch home that features nice entry to great room with corner fireplace, kitchen offers granite counter tops and walk in pantry. Nice sized bedrooms with 2 bedrooms at the opposite end of the master bedroom. Walk out basement and a 3rd car utility garage. Enjoy the covered deck while entertaining guests. Beautifully finished new construction home. Home is handicap accessible with a oversized roll in shower. Wide hallways and spacious rooms throughout. Home features an all brick exterior, over 850 sq feet of tile floors, vaulted ceiling, upgraded trim package, stainless steel appliances, fireplace and much more. Home is under construction with a completion date in late May. Pictures are of a similar completed home that is available for showings. From the moment you walk inside you will feel at home. Spacious bright open floor plan with vaulted ceilings. Enjoy your coffee in front of your beautiful gas fireplace, or in the breakfast area overlooking your fully fenced back yard with your own fruit trees. Finished basement with 4th bedroom/office and full bath, storage too. Upgrades galore and include all newer windows/doors, paint interior/exterior/deck, newer appliances, roof and mechanicals. Nothing builder grade here. Come check it out before its gone! Will go FHA & VA as seller has made updates and repairs. Newest Ranch Style home to hit the market in well desired Grain Valley. This 4 bedroom 2 bath ranch features a modern and stylish kitchen and gleaming hardwood floors throughout the main level. A partial finished basement offers a wood burning fireplace sure to keep you cozy any time of the year. The 4th conforming bedroom serves as a private guest bedroom or master bedroom tucked away at the furthest point of the lower level. Model at 1803 Nicholas Dr, Grain Valley MO Open daily from 1-4 New two story walk out home in one of Grain Valley's newest subdivisions, Grayleigh Park. Open feel with hardwood throughout the entire first floor. This home has amazing trim work throughout and a floor to ceiling stone fireplace in the Great Room. Spacious Kitchen with a walk-in pantry and a large island. Four bedrooms upstairs including the Laundry Room, and the Master Suite. This beautiful home offers lots of room to roam with 5 large bedrooms and spacious living room. Home also features a 1800+ square foot basement that's stubbed and ready for you to finish off.